Great info! You can also use graywater to flush rather than using fresh water. If you can handle yellow water live by the motto – If it’s brown flush it down, if it’s yellow let it mellow. As I wrote on my blog, it’s so great to know there’s a green alternative for conventional toilets! Again, during my time studying in Japan, I noticed there were a lot of high-tech bidet toilets which featured two water stream options, heated seats, and a noise option, usually in addition to the standard sound generator already in place on the wall (these produced rushing water sounds to mask the sound of the person using the toilet). Their toilets also seemed to flush for an eternity. I always pondered how much energy and water was being used just on a toilet (and what a contrast it was from the traditional Japanese “squatter” toilet, a terrible experience for any Westerner). It’s so nice to see a company like this moving in the opposite direction, opting for less water usage! Very useful information! 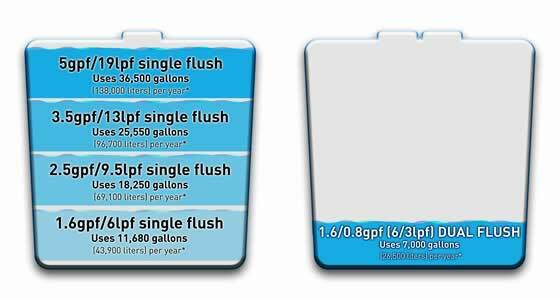 There are so many simple ways consumers can save water, so it is nice to see the info readily available! If everyone did just a little bit, just image the water savings! At Cyber-Rain, we’re always trying to find new ways to help consumers save water, especially in their gardens, so it’s nice to see someone covering the inside of the home, too! 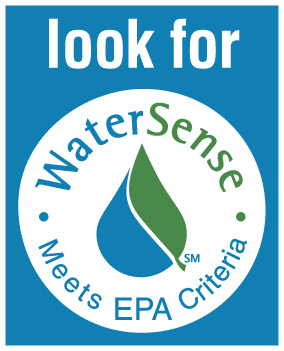 Are you checking out high efficiency toilet rebates available through water districts, MWD etc? There are a ton of rebates available, both for those toilets and for weather-based irrigation controllers that can also save thousands of gallons of water every year, like Cyber-Rain. Are you getting lots of positive feedback? This is a great step in the right water-saving direction! Regarding the “green” movement, it all starts with awareness and I applaude you for your efforts with this excellent article. I knew nothing about high-efficiency toilets until my first trip to IKEA where they seem to be taking their corporate responsibility very seriously. Of course, homeowners have so many opportunities as well to make a difference…in the bathroom…in the kitchen…throughout their home, but it is their lack of awareness that prevents them from taking action! Thanks for helping us get past this stumbling block. This is actually quite useful information. Thanks! Potty girl, you posted a link to this in response to my Stretch Your Dollar column. Are you in the Morongo Basin? If you are, can you contact me at 760-367-3577 or via my email; I’m working on a project that I’d like to talk to you about. Thanks for contacting me, unfortunately I am not in your area. I am in Atlanta, GA. I think dual flush toilets are a great option. . . . hopefully they’ll continue to grow in popularity. Stay in touch! This is such a great and detailed article. All of the toilets in our home are out of date and we will definitely be upgrading them soon. I write a green blog and we posted an article on a DIY low volume flush toilet but the Caroma dual flush looks like such an elegant solution. Please do so, thank you very much! I have another tip I didn’t see on your site: Put a big plastic bowl in your kitchen sink, fill it with hot water and pre-rinse the dishes in there. Also for doing all the dishes. That’s how I grew up! Excellent information on water conservation! Thanks for hosting this. I saw a show where they used this mantra for water conservation and toilets. “If it’s brown, make it go down; if it’s yellow, keep it mellow”. My kids got a big kick out of that saying and now do not flush after they go #1. I still need to remind myself not to yell at them for keeping it “mellow”. Just came across your site. It’s perfect! My situation’s a bit different, and the same. My own artesian well, here in New England, supplies me with as much as 200 gallons of water a minute. I realize I’m lucky with respect to this and I don’t waste it. The septic system is the sensitive element. With limited area and bedrock creating a high water table much of the year, I must be very careful of how much I put into it. …but, I’ve read that Caroma toilet “water spots” are small, leaving dry china that’s susceptible to “skid marks” that require lots of extra unpleasant work with the bowl brush. it is correct – the water level in Caroma toilets is lower than in standard US syphonic toilets and the water spot is smaller. You may have to use a brush on occasion, but you will never have to use a plunger. We have had one customer complaint with this issue out of several hundreds. I’m ready. Trouble is, the local Boston Manufacturer’s rep dropped the product! ?? Doesn’t make sense, but they’re hard to get here now. If you want to order from an online supplier, I definitely recommend checking their warranty and return policy. I will be more than happy to provide a quote including shipping to you as well, if you could send an email to sales@ecotransitions.com. I look forward to hearing from you! We have a dual flush toilet on my stepfather’s house, it is recommended because it can really save a lot of water. They will hire vets to install low flush toilets. A Vet can have a well paying job and 9000 gallons of water per year will be saved! They can hire wounded worriors too. This is really great advice! All of our 3 toilets in our home had leaks or water efficiency issues. We replaced all 3 with more efficient toilets and have seen significant improvement on our monthly water bill!